Flashy (And Extended) Team-Up Trailer: Flash vs. Arrow! Less than 24 hours to go until the first part of the Arrow/Flash two-part crossover event and we’ve got an extended trailer for you. 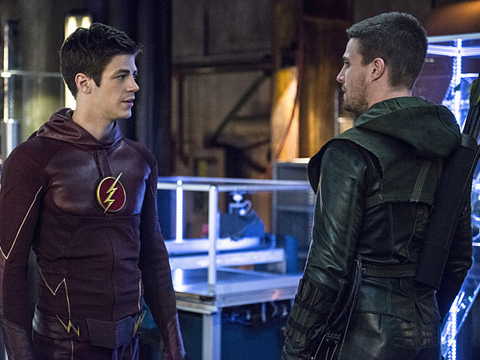 The fun begins on The Flash (The CW, Tuesday, 8/7C) and concludes on Arrow (The CE, Wednesday, 8/7C). You can check out the flashy trailer after the jump. Previous PostLongmire: The Complete Third Season Coming In March!Next PostABC’s Agent Carter To Make Two-Hour Debut!